New York, NY, Feb. 9, 2015 – Of all the rooms in the house, the kitchen is perhaps the one that is most considered in terms of updating both looks and performance. And today, more than ever, homeowners want this important spot to reflect their lifestyles and their personalities, as well. According to Cheryl Dixon, Head of Brand and Trade Marketing at GROHE America, “It doesn’t matter if it’s a brand new construction, full remodel or simple update; kitchens are places where people like to express their individuality. With the wide range of products, design choices and price points available, it’s easier than ever. 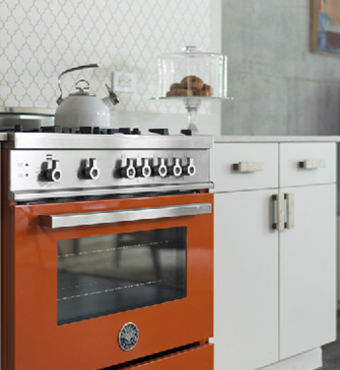 Designer Rachel Winokur chose an orange stove in this downtown Los Angeles home because bright appliances are popular now and work well against a classic neutral background. Three major design styles, traditional, transitional and modern, are influencing everything from color to shelving to faucetry, with designers and homeowners taking a concept and adding a personal twist. “The good news,” Dixon says, “is that whichever style you prefer, and however you choose to express it, you can find GROHE fixtures that coordinate and complement it beautifully.” GROHE spoke with three highly-regarded interior designers about these trends to learn about their own particular ways of developing them. A proponent of “eco elegance,” designer Rachel Winokur, headquartered in Los Angeles, explains there are three easy ways to instill your kitchen with this 2015 version of a traditional motif. “Just incorporate one of the following ideas and you’ll be in step with the times,” she says. GROHE’s Bridgeford® dual spray faucet has an elegant, curved spout and embraces the past without compromising performance. 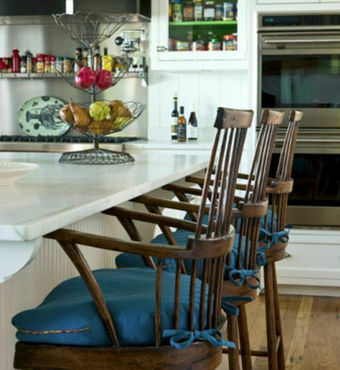 Known for incorporating the best of present and past in his designs, Boston-based Gary McBournie’s own Nantucket, Mass. kitchen is featured above. 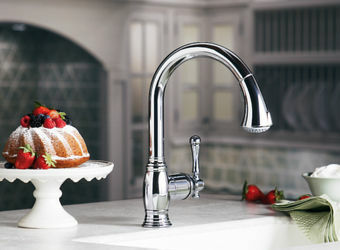 Appropriate for such a kitchen embracing the past without sacrificing 21st-century performance is GROHE’s Bridgeford® dual spray faucet. The detailing is perfect with a wide-set bridge and bar faucets, while the pull-down dual-spray model features innovative Grohe SilkMove® technology for effortless water control.  GROHE’s Ladylux3® Café pull-down faucet is a happy mixture of traditional and modern design. In addition, “There seems to be a resurgence of man-made materials for countertops. Materials such as Corian, Caesarstone and Silestone are popular, being stain-resistant and easier than others to maintain,” says McBournie. Last, McBournie mentions that anything referencing “industrial” is fading in favor of a warmer, more finished style. “Large, stainless-steel appliances and hood fans are being replaced with integrated appliances that are affixed with front panels to blend into the surrounding cabinetry.” Dixon notes, “Exhibiting this transitional design are GROHE’s Parkfield™ faucet and LadyLux3® Café pull-down faucet.” They couldn’t be more au courant; each recalling the past with their gently curved silhouettes. 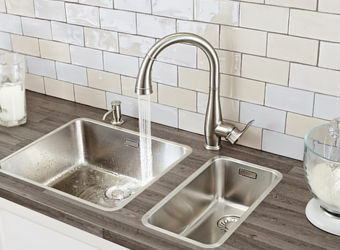 Parkfield comes in finishes like GROHE SuperSteel Infinity™, GROHE Starlight Chrome™, and Oil Rubbed Bronze, while LadyLux3 Café pull-down is available in GROHE SuperSteel Infinity and GROHE Starlight Chrome in addition to GROHE RealSteel®, produced from 304 stainless steel. The curved silhouette of GROHE’s Parkfield™ faucet combined with the SuperSteel InfinityFinish ™ is a fixture worthy of any era. “And I love those fantastic under-counter coffee machines because the only part of it in sight is the small hand-held device that allows you to schedule, select and monitor your brew,” Bohn continued. 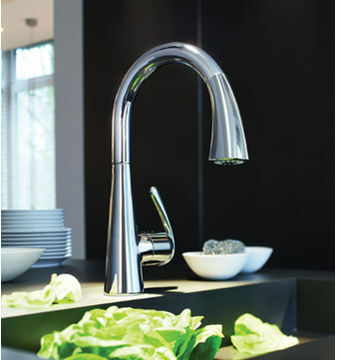 GROHE’s Minta™Touch pull-down faucet is the perfect complement to a modern kitchen and reduces kitchen mess. GROHE Blue® Chilled & Sparkling brings sleek style and 21st-century amenities, like fresh filtered and sparkling water, to any kitchen. An increasingly popular product that is truly advanced is GROHE Blue® Chilled & Sparkling, which combines a fashionable designer faucet with a high-performance filter, cooler and carbonator – and is as easy to use as an ordinary kitchen faucet. The right lever on the faucet is used to mix hot and cold tap water as usual. A single turn of the left handle gives you fresh, cooled and two settings for sparkling water.